PLEASE NOTE: Picture Shown is a computer generated stock photo to show picture design only, This is NOT the picture of the actual edible topper. Edible ink printed on Edible paper will not look like regular ink on regular paper and colors WILL vary. We do not Except returns on Edible Images because we cannot re sell them. If there is an issue with your topper, please contact us ASAP to resolve the issue. Please be as detailed as possible If any damage occurs please send a picture to help the process. 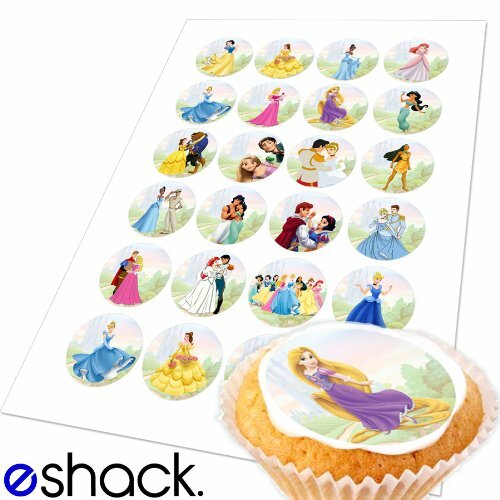 Twelve 2" Disney Princess Edible Cupcake Toppers Frosting Sheet. 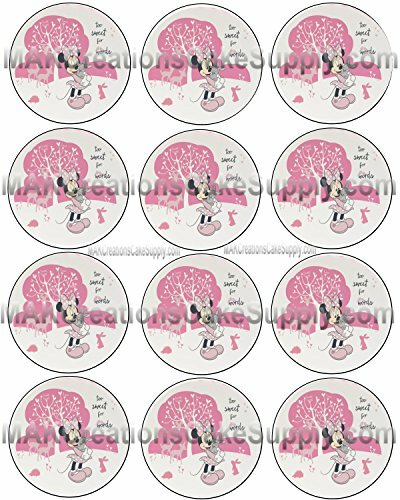 These easy to apply cupcake toppers arrive with instructions, are pre-cut and adorable! 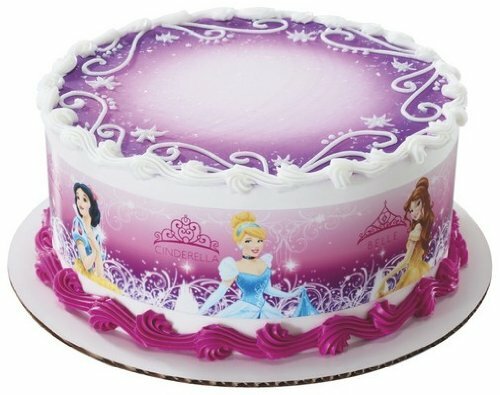 Have Your Cake 2 DOES NOT claim ownership over the characters used on your cake topper or cupcake toppers as they belong to their respective copyright holders. 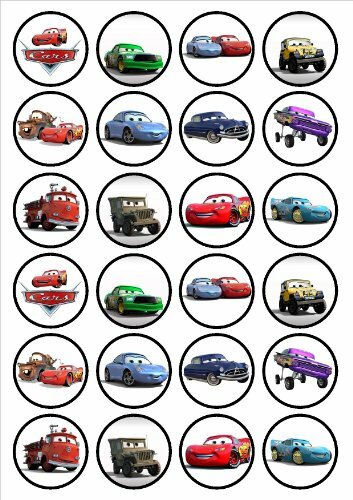 We DO NOT sell the characters or clipart. 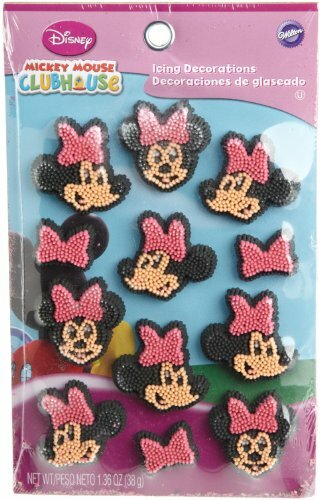 They are free and are only being used to personalize your item. 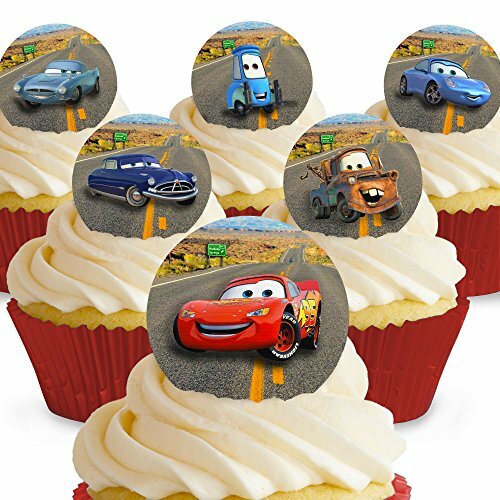 The cake toppers and cupcake toppers require wording and customer information to be used for permitted purposes for PERSONAL use. These images are permitted for one time personal use according to the sale doctrine. They CANNOT be resold for any reason. 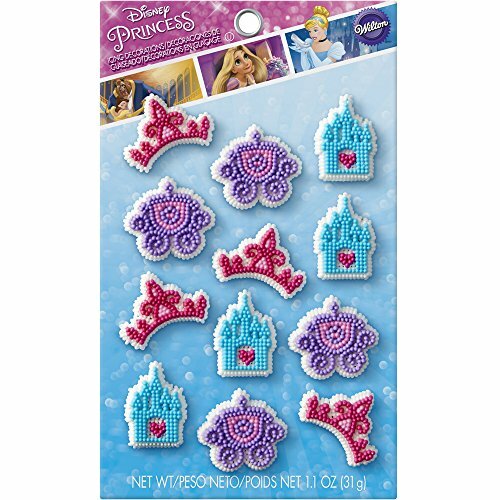 We are selling the frosting sheet and the service of printing on them. 24 edible PREMIUM THICKNESS SWEETENED VANILLA rice/wafer paper cupcake decoration, measuring approx 4.5cm in diameter. Printed on Premium wafer paper with edible ink. 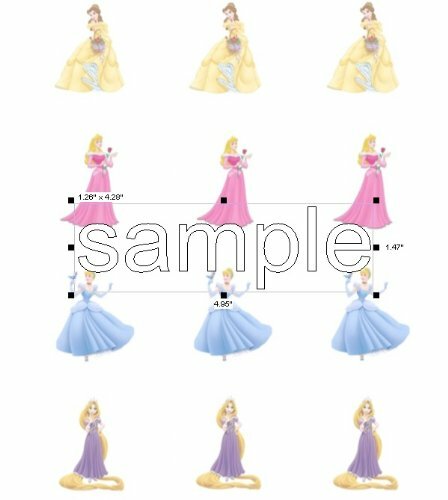 The toppers will arrive in sheets, in a sealed plastic bag, ready for you to cut out and use. They have a shelf life of 12 months, if kept in the bag they arrived in. 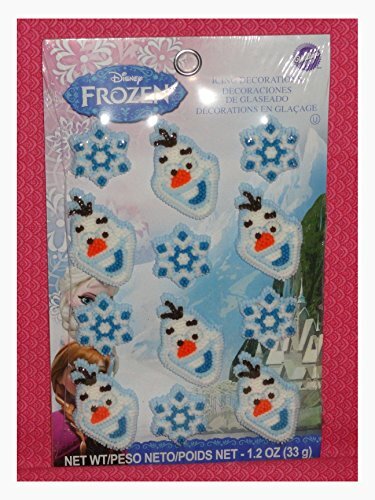 (There is no special skill required for cutting out the cake toppers, just a clean, dry pair of scissors.) For best results, all you need to do is place the topper onto icing or melted chocolate (a light/white background is best, as this will make the images really stand out) Wait for the icing/ chocolate to dry, then apply a very fine mist of water to stick the topper down. NB. DO NOT use too much water as moisture can make the topper wrinkle as it absorbs the water. Suitable for Vegetarians. Ingredients: Rice paper: potato starch, water and vegetable oil. Edible Ink: Water, Glycerol E422, E102, E122, E124, E151, E110, E104, E133, E1520, E330. PLEASE NOTE: THAT ALTHOUGH THESE ARE HIGH QUALITY IMAGES, THE RICE PAPER IS SLIGHTLY TRANSPARENT. ONCE PLACED ONTO YOUR WHITE ICING THE COLOURS WILL APPEAR MORE VIBRANT. IMAGES PRINTED ON WAFER / RICE PAPER ARE NOT AS VIVID AND BRIGHT AS WHEN PRINTED ON PLAIN PAPER. 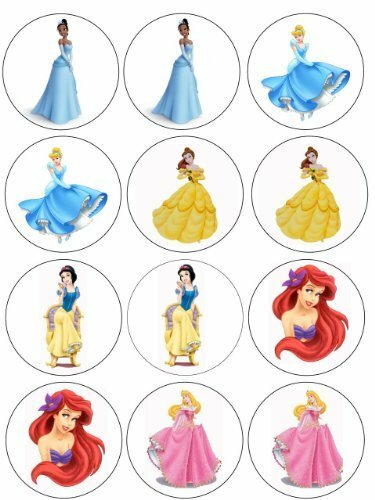 Compare prices on Disney Edible Cupcake Toppers at ShoppinGent.com – use promo codes and coupons for best offers and deals. Start smart buying with ShoppinGent.com right now and choose your golden price on every purchase.